is a ministry of 1stPres Church of Orlando. culture for all people to flourish. The arts are a part of this! My paintings are now on exhibit there for the winter quarter, Jan-April 1, 2017. A blessing to be a part of this cultural outreach! Five of my framed digital paintings will be on exhibit! "Featured Artist of the Week"
"Eureka! The Moment Art and Science Collide!" "The Nautilus Spiral I and II"
A very unique and interesting art exhibit! My framed painting "Mead Garden Turtle"
on "Giving Tuesday, Dec. 2015"
To honor the help they give to families and children. "The Power of the Shoes"
Art Inspired by Winter Park's Historic Architecture"
My painting "Morning Light, Knowles Chapel"
"International Voices - Speaking Through Art"
is featured in this collector's guide. "For The Love of Florida"
20 of my original oils available for purchase. a little bit of Florida can add to your home or office! Featuring both professional and student artists. "FOR THE LOVE OF FLORIDA!" Gallery open during regular garden hours. Showing 10 of my paintings. Each "I Believe" painting paired with a poet! Opening event part of Third Thursdays Gallery Hop. "I Believe in Going Towards the Light"
in downtown Orlando during the Third Thursdays Art Walk. The exhibit will be on display until December13,2013. month of August in the calendar. "Albert Park in College Park"
"Local Artist showcases College Park history"
Orlando is divided into 8 neighborhood "Main Streets"
Artists were chosen to represent their Main Street neighborhood. My painting "Albert Park in College Park"
sponsored by the College Park Partnership. in a first class juried show. My painting "The McKean Gate at Rollins College"
and "Beetles, Butterflies, and Backyard Flowers" in this exhibit. Four of my original oils are in this show. Artists painting live at this event. "A Magnolia Memory for Niki"
Check museum website for hours. Going to 10,000 worldwide clients! I'm very happy to be a part of this! Three of my FL landscapes wil be exhibited. My painting "Blue Cypress Sunset" is featured. My paintings and prints are for sale in the Gift Shop. had a tremendous influence on my painting style. a visual journey of Old Florida! on display and for sale. are on display and for sale. Always a wonderful show for everyone in Central Florida! My painting "Eco Trip" is featured in this exhibit. The exhibit runs through March 4, 2012. ART AND ANTIQUES AT "OLDIES BUT GOODIES"
and likes to combine tradtional art with antiques. Many of my original Florida Oil Landscapes are at her store. for combining my art with her antiques! 15th through January 13th, 2012. Opening reception hursday December 15th from 6 – 9 PM. This is a group exhibit of photographers, painters and sculptors who are members of ArtistsRegistry.com. More than 100 artists will participate in this juried exhibit with one work each. 10 cash prizes will be awarded plus a President’s Choice Award. My painting "Purple Rain Diptrych" is in this exhibit. Artists are signing the collectible calendars. My painting "Rosita" is the June calendar page. available to the public and distributed throughout the city. Calendars available at closing reception. My oil painting, ECO TRIP, is featured in this exhibit. First Thursdays "OMA Members Visions"
A wonderful time of mingling with artists and art lovers! My original oil paintings will be on exhibit. My paintings " Old Florida" and "Palm Afternoon"
will be in this exhibit. Opening and Exhibit open to the public! On exhibit through April 15, 2011. Saturday March 12, 2011 All Day! Come meet the owners and the artists! Stop by the Let Us Frame It tent! My new series of Springtime in Florida will be presented. Voted "BEST IN SHOW" Ribbon! My painting "Lost" was chosen for the exhibit. Paintings, Sculpture and Photography by many artists are featured. of oil paint used in painting my Florida landscapes. "Florida Art by Florida Artists Small Works"
"Our mission is to present to our clients a selection of fine art that is of the highest standard. our brick streets and visit our unique shops, sidewalk cafes and museums." Judy is Featured Artist for November! and pictures of Judy with details of the Art Stroll. Also on WFTV Website and Orlando Magazine under events. In downtown Lake Mary with music, wine, appetizers and ART! voted "best kept secret in Seminole County". My work will be on display there through October 2010.
of Judy Batterson and the watercolors of Ken Austin. All art is framed and available for viewing and purchase. Contact Brad Biggs (407-247-4552) for purchase information. Judy's mini-oil paintings and her original Florida oil landscapes. vintage coastal cottage furniture, accessories and art. 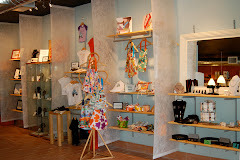 Visiting the store is like taking a beach vacation! three page interview and photos of eight other paintings. This beautiful magazine is a work of art in itself. "Lost" and read the magazine's interview with the artist. due to popular demand, is extending the "BIENNIAL V" Exhibition! for this wonderful and diverse exhibit of Florida artists. For more details and directions, go to the website. each stage of the painting from the first brushstroke to the finishing details. the first brushstrokes of the background to the last layers in the foreground. In this way, the viewer sees how an oil painting is painted! Ongoing postings of Florida artists online. View my paintings and those of other Florida artists. MUSEUM OF FLORIDA ART "BIENNIAL V"
Judy's painting "Blustery Day" has been selected for exhibition. The Vineyard Wine Company is a restaurant, tasting room and gift boutique. My paintings will be set up in their private wine cellar. an opportunity to view my Florida landscapes. I would be honored if you would join us for this occasion! Judy talks on "How to Pick Your Perfect Piece of Art"
All Women Invited for a Fun and Cultural Evening! Judy's paintings "Moon Shadows" and "Enlightened" have been selected for exhibition. We're pleased to announce that we've added another four designers to our ranks. Among them is esteemed Florida artist Judy Batterson, who is well known in the area and beyond for her gorgeous landscapes and botanicals. She has recently exhibited at the Orlando Museum of Art "First Thursdays" and Harry P. Leu Gardens, and we're honored to be carrying a selection of her giclees. Please come by to see them! Our other new designers include Kim Turner and Krista Brock of Soggy Dog Studios, who make an array of handpainted goodies in a wonderful folk-art style; Christy Reynolds of Silly Miss Lily, who makes adorable children's toys and accessories; and Patricia Valery of Handmade by Patricia Valery, who makes unique women's tops and dresses as well as funky altered T-shirts. Please check out their goods next time you're in the shop! "Storm Coming" and "Smyrna Dunes"
"Coastal Escape", "Sunset Palm", "Moon Shadows", "Enlightened", "Mead Garden Turtle"